A Family Investment Company can be very beneficial for inheritance tax planning, asset protection and wealth accumulation. 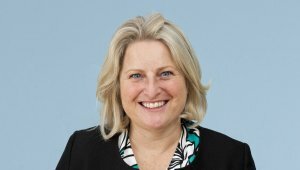 Nicola Plant, a Partner in our Tax Planning team, gives an outline of the Family Investment Company and its uses. A Family Investment Company (FIC) is a bespoke private company, which can be used as a tax-efficient alternative to family trusts. A FIC is a flexible structure, allowing families to define how specific family members benefit through varying rights attaching to shares, or the number of shares in issue. The directors and shareholders of the FIC are normally family members. As with trusts, the structure of the FIC can enable parents/grandparents to retain control over assets, whilst accumulating wealth in a tax-efficient environment and facilitating future succession planning. It is preferable to set up FICs with cash (by gift and/or loan), as the transfer of property or shares is likely to involve capital gains tax and stamp duty. A FIC may provide useful protection in the event of a shareholder’s divorce. The FIC can be structured so that shares can only be held by direct family members (excluding spouses). For more details please see our information sheet; Family Investment Companies. For further information on estate planning and FICs, please contact Nicola Plant (nicola.plant@ts-p.co.uk), Partner in our Tax Planning team. We can deal with all the stages of a commercial contract – from initial structuring and head of terms to preparing, negotiating and completing the contract documentation. We can also advise you on contractual disputes that may arise during a project and provide assistance with terminating a business relationship.